Obituary for Lawrence K. Protteau | Allen Brothers Mortuary, Inc.
Larry was born on March 31, 1952, in Sacramento, CA, to Frank and Lyn Protteau. He attended Rio Americano High School and was a competitive bowler on the school’s team. He also bowled semi-professionally for a short time. In one series, he bowled a 193 triplicate. As a young adult, Larry worked briefly as a cowboy in McDermott, Nevada. He lived in North Carolina for several years in the 1970s, hauling freight up and down the Atlantic coast. He moved back to Sacramento and worked for C&H Transportation and then for Condor Freight Lines starting in the late 1970s. 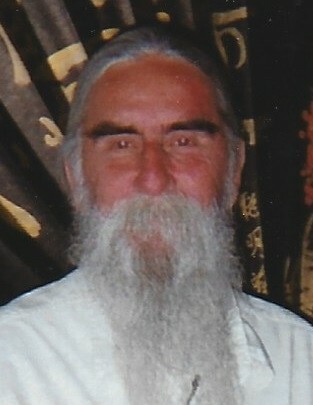 Larry moved to Visalia and then to San Marcos in the early 1980s. He worked several more years for Condor, then for DATS and Best Overnite, before he started working for Saia in the early 2010s. Larry was an avid golfer and had five holes-in-one, all at St. Mark Golf Club in San Marcos, CA. He kept up with current events and did a lot of reading. He enjoyed cars and over the years had a ’64 Mustang, an Austin Healey, and a C4 Corvette. Larry is survived by sisters Cynthia Protteau and Gayle Fristoe (Richard); brother Chuck Protteau (Barbara); nieces Marcy and Valerie; nephews Marc, Chris, and Joe; and many cousins. He was preceded in death by his parents, Frank and Lyn, and his nephews, Edwin and Robert. Services will be held at Allen Brothers Mortuary in San Marcos, CA, on Saturday, February 9, at 10am.